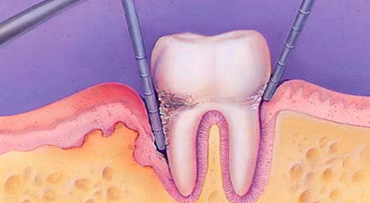 Periodontal (gum) diseases attack the soft tissues and bone that surround and support your teeth. There are several forms of gum disease. An early reversible stage, causes the gums to become red, swollen and bleed easily. It can usually be eliminated by daily brushing and flossing. A more advanced stage, causes destruction of the soft tissues and bone that surround and support your teeth. It is the major cause of tooth loss amount adults and affects three out of four adults age 35 or older. Only your dentist can treat the more advanced damage caused by periodontitis. Because it is often painless, it may go unnoticed. That is why daily hygiene and dental checkups are important. Learn more about what causes Gum Disease and how to prevent it.